There is no doubt that one of the biggest draw in a vacation to Europe is being to visit the beautiful public squares the continent of Europe is known for. Trafalgar Square is undoubtedly one of the top tourist attractions in London, and one of the most famous destinations in England. Trafalgar Square is located in Westminster, right in the heart of London, and it's most popularly known as a popular location for social gatherings, celebrations and events such as the World Cup and New Year’s Eve celebrations. 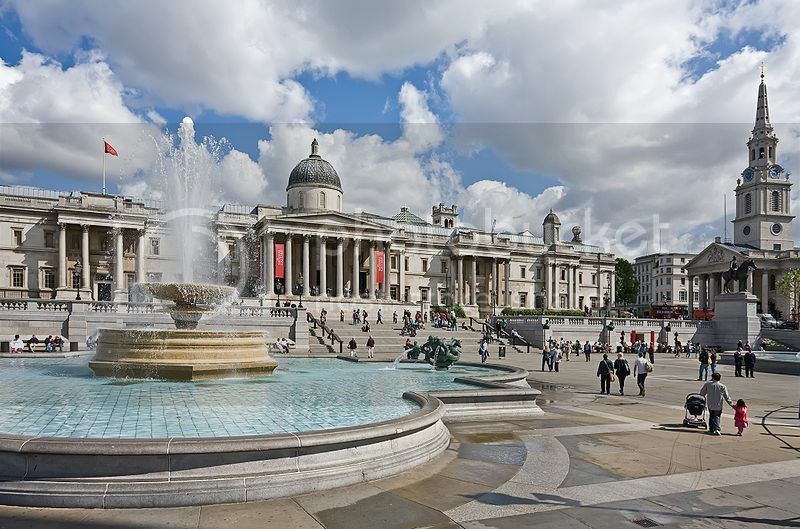 Trafalgar Square is also known for its fountains and monuments such as Nelson’s Column, and the renowned National Gallery. Italy boasts its fair amount of beautiful squares such as the lovely Piazza della Signoria in Florence. However, famous squares in Italy don’t come as historic as Piazza Navona in Rome. 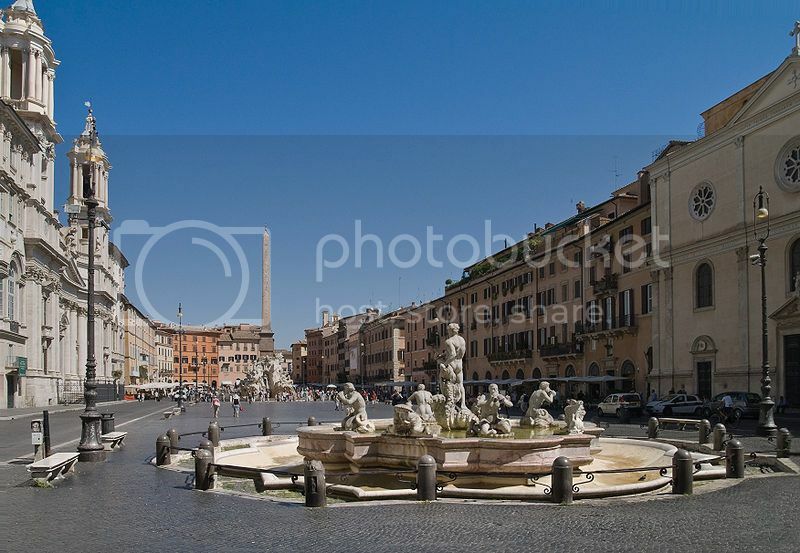 Piazza Navona is renowned for its fountains and sculptures such as the statue and fountain of Neptune. Navona Square is also surrounded by other great attractions such as Palazzo (Palace) Braschi, which houses the museum of Rome. There is never a bad time to visit Piazza Navona, though during the holiday season this Square really comes to live with the lovely Christmas Market! 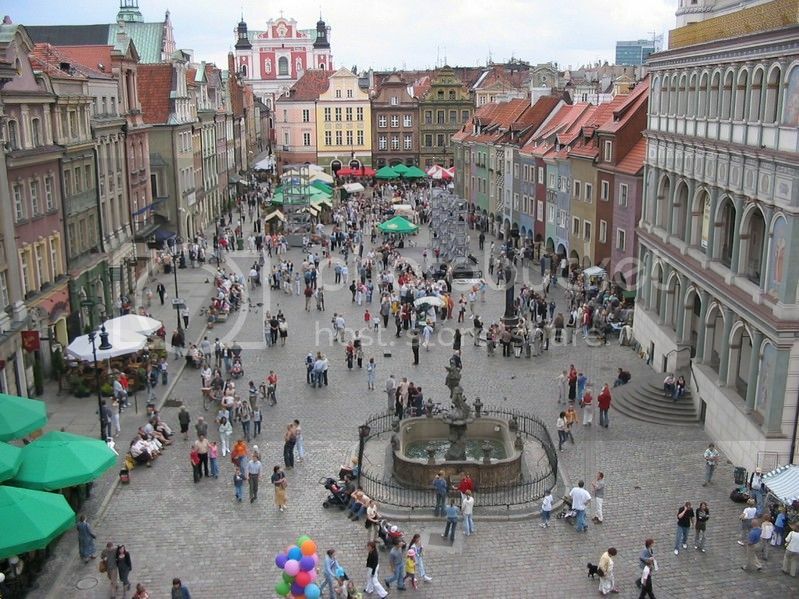 Old Market Square (Stary Rynek) is located in the beautiful medieval city of Poznan Poland in the old part of town. The Old Market Square in Poznan is, without a doubt, the heart of the city and one of the best places to enjoy plenty of sightseeing opportunities in one location. Poznan’s Old Market Square is one of the most famous squares in Europe and it's known for its colorful houses overlooking the square. The Old Market Square also boasts many historic buildings such as the Old Town Hall and the Guardhouse where you'll find a neat history museum dedicated to the city’s uprising to Nazi Germany. 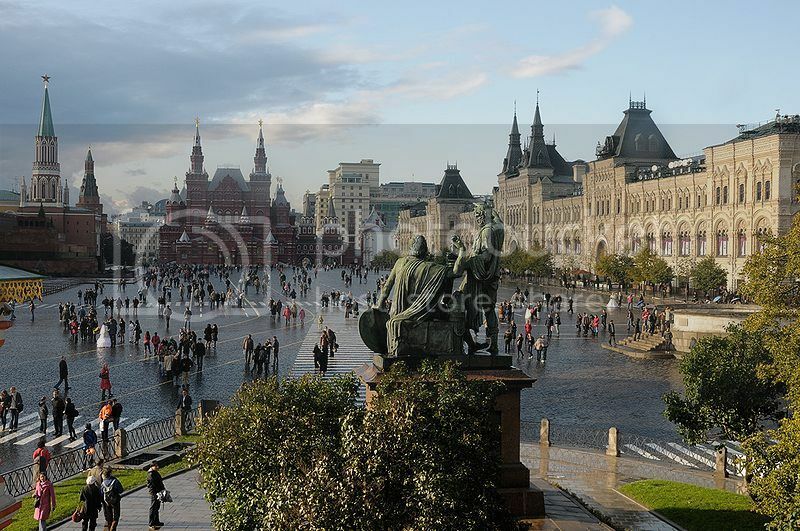 Red Square, is along the Kremlin, one of the top tourist attractions in Moscow Russia, and one of the most beautiful European squares you’ll ever set eyes on! Red Square is home to the popular and awe-inspiring Saint Basil’s Cathedral, which is simply visually stunning and it's truly the quintessential of Russian orthodox architecture. 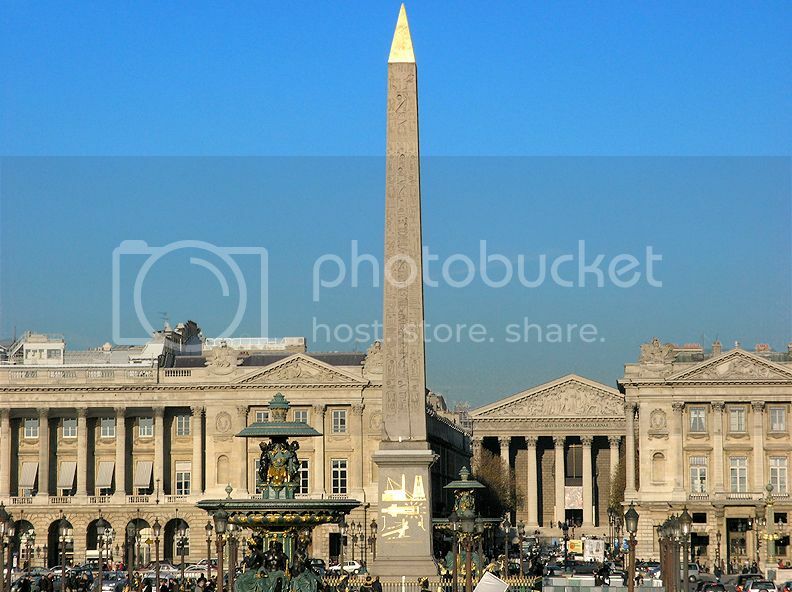 Place de la Concorde is not only the largest square in Paris, but it’s also one of the most popular squares in Europe. Place de la Concorde is located along the River Seine and it’s primarily known for Hotel Crillon - one of the grandest hotels in Paris. There is also the Obelisk of Luxor landmark on the square, which boasts beautiful ancient hieroglyphics. Besides these, you’ll also find beautiful fountains in Place de la Concorde such as the Fountain of River Commerce and Navigation which was built during the French Revolution. 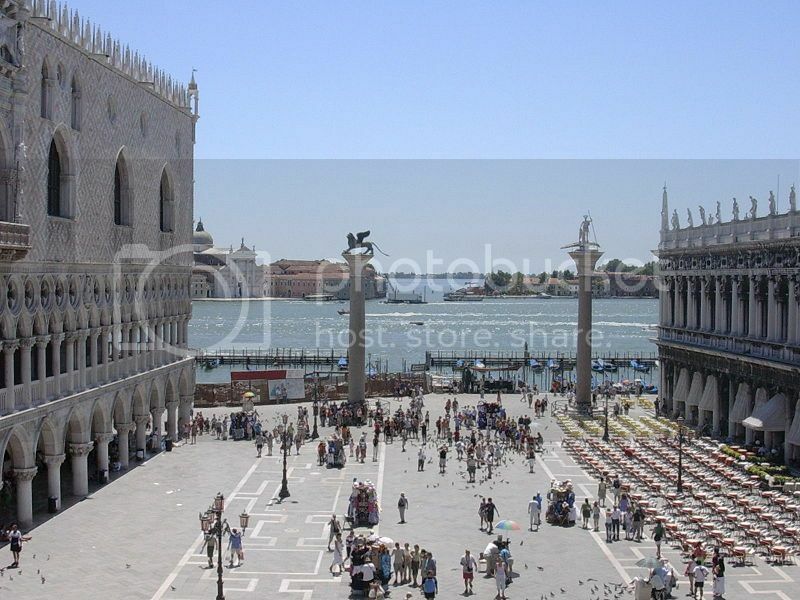 Piazza San Marco is another beautiful Italian square that has to be mentioned on this list! Piazza San Marco is located in Italy’s most popular and touristy destinations – the romantic city of Venice. Besides Venice Grand Canal, Piazza San Marco is, without a doubt, one of the top 5 places to visit in Venice since most of the most important attractions in Venice are located within the vicinity of Piazza San Marco. Such attractions include St Mark’s Basilica, the Clocktower and the Procuratie Vecchie, which was built in early 1500’s! 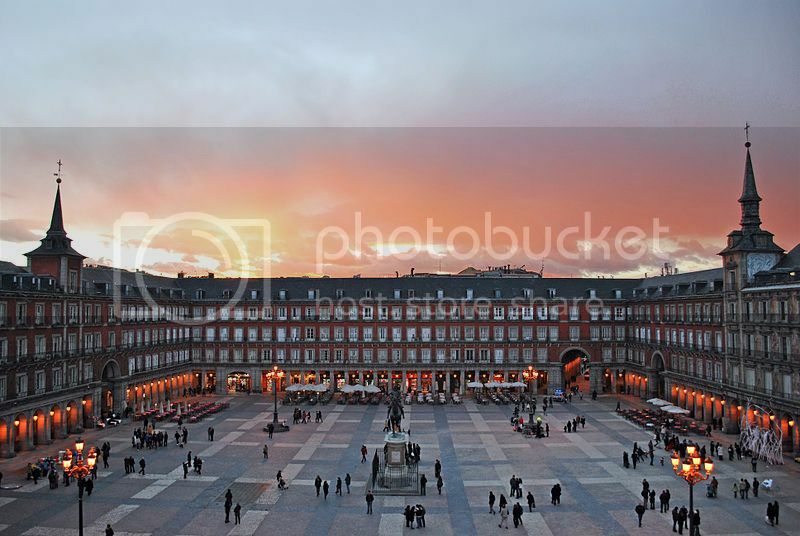 Spain is another country that boasts a vast number of beautiful public squares with the capital of Madrid boasting one of the most famous squares in Europe – Puerta del Sol. Literarily translated, Puerta del Sol means Door of the Sun, and it’s a popular square known for the famous “bear and the tree” landmark, the “Tio Pepe” advertisement sign, and the spot where the New Year’s Day countdown takes place. Puerta del Sol is also one of the most touristy and best spots in Madrid to be as it’s closely located to the famous upscale district "Preciados Street" where you’ll find the renown “El Corte Ingles” department store, and a ton of boutiques, coffee shops and fine dine restaurants. What’s your favorite square in Europe?